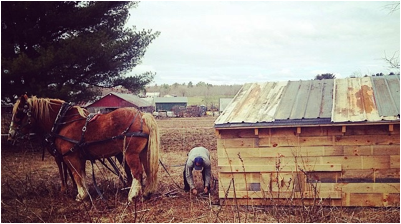 Are you a new farmer serious about pursuing a farming career in Maine? Could your farm business benefit from 2 years of free hands-on training, technical support and mentorship from some of Maine’s best organic farmers and experts? If so, submit an application to the Maine Organic Farmers and Gardeners Association’s Journeyperson Program! Over the past 15 years, MOFGA’s Journeyperson Program has supported over 250 new farmers to successfully bridge the transition from apprentice/farm worker to independent farmer. While most new farms fail in the first 5 years of operation, 93% of MOFGA JPs are still farming today. Boost your odds and apply today! The next deadline is right around the corner: Monday, September 21! For more details and an application, please visit MOFGA’s JP webpage. Don’t hesitate to email any questions you have about the JP program or other new farmer support or educational opportunities at MOFGA. Categories: call for submissions | Tags: journeyperson program, Maine, maine organic farmers and gardeners association, MOFGA | Permalink.